The board of the directors of FMCG major Marico has given their approval to a proposal to restructure the company's business. The restructuring plan involves a proposal for demerger and will be effective from April 1, 2013. The company is planning to demerge skin care business under the Kaya Clinic brand and form a new entity and manage Marico's consumer products business as a separate business. The company's skincare business is expected to generate Rs. 350 crore during the current financial year and investors are expected to receive 1 share of Kaya for every 50 shares of Marico. 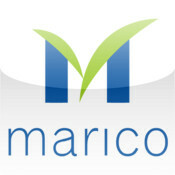 Marico has presence across 25 countries across Asia and the Africa and it reported turnover of Rs. 4,000 crore in 2011-12. Marico has reported an increase of 9.68 per cent in net profit to Rs 85.87 crore during the second quarter of the financial year. Marico's consumer products business (CPB) reported an increase of 19 per cent to Rs 793 crore during the quarter while its international business improved 16 per cent. The shares of Marico were trading 1 per cent higher at Rs. 226.70 this afternoon at the time of reporting. The growth is even more significant because the BSE FMCG index has recorded a fall of 0.6 per cent yet.